Do you need to grind a truly epic amount of coffee? Odds are that unless you’re going into the business of selling it in bulk, you don’t. But if you find yourself in need of a machine with simply ferocious grinding capabilities, then you’re going to love this roundup review. Where industrial coffee grinder machine is concerned, there are two features of overwhelming importance, and then there’s everything else. The two significant features are speed and consistency. You want to be able to grind a ton of beans in one go, and you want your product to be highly consistent because if you’re selling to specialty vendors and coffee houses, that’s what the coffee-consuming public demands. Capacity matters, but in our view, it’s not as important as raw speed. After all, even if your chosen grinder can only handle smaller batches at a time, if it can get the job done quickly, you’re still going to be able to keep up with your customers’ demand, even if you’ll have to deal with the small annoyance of loading it more often than you’d like. Fortunately, capacity is relatively easy to solve for, and you won’t find any of the machines on our list of finalists lacking in that regard. Some people will be drawn to technological wizardry and the possibilities that computer controls open up. But honestly, that kind of thing played a fairly minor role in our final selection. Those bells and whistles do offer more precise controls, but they also introduce a layer of complexity to the operation of the machine, and those components represent more things that can break or go wrong, making them a bit of a two-edged sword. This is not to say we’re against technology. 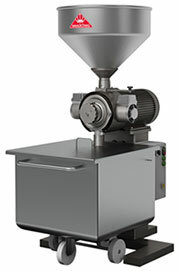 Well implemented, high tech features can enhance an industrial coffee grinder, or any other device they’re built into. The problem, of course, is that such features aren’t always well-implemented, in which case they become more trouble than they’re worth, and our overall top pick and list of finalists reflect this line of thinking. In any case, we wanted to spend a few minutes talking about our decision-making process because your needs and preferences may be somewhat different than ours, which may cause you to disagree with our top pick. Having done that, let’s take a closer look at our winner and the other finalists! Ditting industrial coffee grinders come in two varieties: the KF 1800, our top pick for the best industrial coffee grinder; and the smaller 1403, which, with enough accessories added on, can more or less keep pace with a medium-sized roasting and grinding operation. We considered the KFA 1403 for the honorable mention slot, but ultimately gave the honor to the Mahlkonig. Ditting’s smaller offering just didn’t quite measure up, in our view. As to the KF 1800, it is a study in simplicity and magnificence. Regarding raw grinding capability, it beats the rest, hands down, capable of chewing through more than 700 pounds of fresh beans every hour, and grinding them to a highly consistent quality. Operating and maintaining the machine is a snap, and it’s engineered for longevity. Buy this machine, and you can expect that it will be with you for decades to come, with proper maintenance. While no industrial coffee grinder equipment can be said to be overly attractive, Ditting has made some effort to be stylish, offering their rugged machine in two colors for those who hold aesthetics in high regard. In our view though, the best aspect of the KF 1800 is its price. It is an incredibly capable machine, offered for much less than one might expect. That, combined with its excellent output and grinding consistency, made it a no-brainer for the top pick in our book, and given all those positive attributes, it’s a little wonder that industrial coffee grinder reviews almost always sing this model’s praises. A simply superb machine offered at a great price. What could be better? Similar in price and capability to our top pick, the Brunner M8 industrial coffee grinder is a workhorse by any definition and is quite popular in Europe. If anything, the M8 is even easier to use and maintain than our top pick, but where it falls short, in our view, is that it trades a larger hopper for a reduction in hourly throughput (660 pounds per hour, versus Ditting’s 720), and as we mentioned earlier, we regard speed and consistency as being our top considerations. The M8 comes close to matching Ditting’s offering in terms of consistency but falls short where output per hour is concerned, and for us, it’s a bad trade. We’d rather live with a slightly smaller hopper and get more ground coffee per hour, but we understand that opinions will differ on this front. All that to say that if capacity matters more to you than hourly output, then this is an excellent model to consider, and depending on the size of your operation, the hourly grinding rate may land in the sweet spot for you. That, combined with its ease of use and maintenance makes it an option well worth considering. The DK27 is the largest of the two Mahlkonig industrial coffee grinders that made our list of the best industrial coffee grinder, and although the company didn’t take top honors with us, they do have the distinction of being the only company with more than one machine on our list of finalists. There’s a lot to like about the DK27 LVH. It’s ruggedly designed and built to last. While its grinding consistency is on par with the other machines that ranked higher, its hourly throughput falls a bit short (just over 600 pounds per hour for medium grind, which is well short of Ditting’s 720), but this is only part of the reason for its third-place ranking with us. Remember earlier, when we mentioned that technological innovation could sometimes work against a machine? We feel that way about both of the models on offer by Mahlkonig, which played a major role in why they didn’t get higher rankings. In some ways, the DK27 feels over-engineered for the task at hand. Yes, those tungsten carbide grinding discs are awesome, but they significantly add to the cost of the unit and are one of the reasons why this machine is so much pricier than our top contenders. It’s true that they will probably save you at least a bit of money in terms of maintenance, but our top picks are already maintenance-friendly, and you’d need to keep this machine for generations before you could justify the added expense. Even so, if you’re looking for an semi industrial coffee grinder with relatively more bells and whistles, and you don’t mind sacrificing some capacity to get it, then the DK27 is a solid choice, and in fairness, the people who own them swear by them and wouldn’t consider any other brand. That says a lot, but in our view, they’re just not worth the extra money. A solid entry, but the combination of higher price and lower throughput made it impossible to justify a top billing. The DK15 LH is the little sister to the larger and more robust DK27 offered by Mahlkonig. It’s a solid, capable machine, but like the DK27 suffers from an over-engineering problem. That, combined with the fact that it offers barely a third of the hourly throughput that our top pick brings to the table (not quite 300 pounds per hour) makes it an interesting choice, but only just. We regard the DK15 as being a great option for roasters who plan to remain a niche seller, and as such, only have a need for relatively small batches of fresh ground coffee at a time. If that describes your business plan, then a machine like this makes a lot of sense, because why buy capacity you don’t ever plan on using? Unfortunately, if you plan on growing your business significantly over time, then you may find yourself outgrowing this model, and wishing you’d spent a little extra on something you could grow into. Still, for a certain class of entrepreneur, the DK15 LH has a lot to offer, which is why we wanted to give it a mention here. Not to say that they wouldn’t be good for some very small businesses or highly specialized roasters, but in terms of raw capacity and throughput, they just don’t stand up well compared to those on the list above. 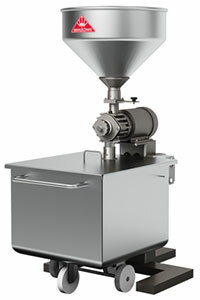 If you operate say, a restaurant or coffee shop and want to have a more robust grinder than standard fare commercial grinders, they might be worth a look, but any large-scale roasting operation is going to need more capacity than any of the others can provide, which is the main reason they didn’t make the cut. It is true though, that the machines offered by those companies come with world-class support, and you will certainly find no shortage of industrial coffee grinder suppliers willing to sell you spare parts and attachments, but the risk of outgrowing machines in the semi industrial class is very real, and that, as much as anything, makes them a bad bet, to our way of thinking. At the end of the day, our top pick for the best industrial coffee grinder is little more than an earnest recommendation. We stand by it and have outlined the thinking that led us to our conclusion, but we understand that your needs may be different. The real question then, is, do you agree with our top pick, or is one of the other grinders on our list of finalists a better “fit” for you and your company? Make no mistake, any of these machines will serve you well. In the final analysis, though, it comes down to what your budget can support, and what kind of volume you’re anticipating. Ditting USA. Official Brand Website. Brunner-Anliker USA. Official Brand Website. Mahlkoenig USA. Official Brand Website. You Want Tastier Coffee? Freeze Beans, Then Grind. The New York Times. Why is Freshly Coffee Ground Better. Home Grounds. Back to the Grind: Grinding Your Beans For the Best Cup. HC Valentine. 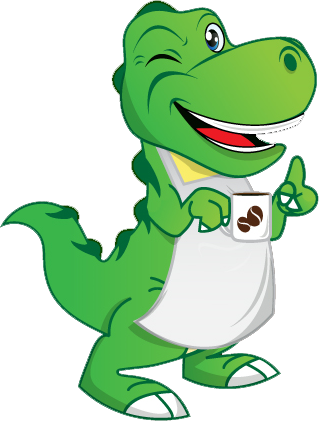 © 2017 Coffee Dino - All Rights Reserved.